In this book, Umut Uzer examines the ideological evolution and transformation of Turkish nationalism from its early precursors to its contemporary protagonists. Turkish nationalism erupted onto the world stage in the late nineteenth and early twentieth centuries, as Greeks, Armenians, and other minority groups within the Ottoman Empire began to seek independence. Partly in response to the rising nationalist voices of these groups, Turkish intellectuals began propagating Turkish nationalism through academic as well as popular books, and later associations published semipropagandist journals with the support of the Unionist and Kemalist governments. 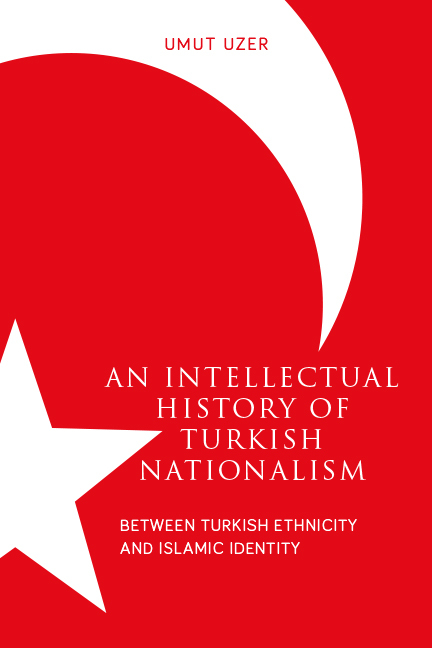 While predominantly a textual analysis of the primary sources written by the nationalists, this volume takes into account how political developments influenced Turkish nationalism and also tackles the question of how an ideology that began as a revolutionary, progressive, forward-looking ideal eventually transformed into one that is conservative, patriarchal, and nostalgic to the Ottoman and Islamic past. Between Islamic and Turkish Identity is the first book in any language to comprehensively analyze Turkish nationalism with such scope and engagement with primary sources; it aims to dissect the phenomenon in all its manifestations. Umut Uzer is an associate professor in the Department of Humanities and Social Sciences at Istanbul Technical University. He has published on Turkish foreign policy, Turkish nationalism, Israeli-Turkish relations, and Arab perceptions of the Cold War and is the author of Identity and Turkish Foreign Policy: The Kemalist Influence in Cyprus and the Caucasus. 5. Conservative Nationalism: The Turkish-Islamic Synthesis or the Turkish-Islamic Ideal? Conclusion: The End of Nationalism?